Choose It. Try It. Buy It. To modify your search, click here. Rent the car/van at a special daily rate. Difference between a crossover vehicle and SUV? 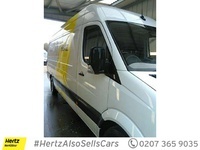 Hertz Car Sales was founded in 1977 with the goal of using cars retiring from its rental fleet to build the best overall experience for buying affordable used cars for sale by owner. We started with the best owner we knew — ourselves. And we quickly realized that by selling used cars from the Hertz rental fleet online, we could offer a wholly unique experience. Our expertise with the rental process, nationwide infrastructure and large inventory allow us to offer customers a 5-day test rental, which we felt was preferable to how anyone else offers used cars for sale by owner. If you’re looking for affordable used cars, compare our used car prices to the competition, and then test rent one of our cars for 5 days. Not only will you fall in love with our cars, but you’ll discover a reassuring, easy and zero-pressure used car buying experience. Hertz Car Sales® and Hertz Rent2Buy® are registered trademarks © 2018 The Hertz Corporation. All rights reserved. There are only two sure-fire ways to reduce price when it comes to cars—negotiate a great deal, and cut out the middleman. We do both! As a market leader in car rentals, Hertz enjoys great deals from manufacturers. And by selling off our own fleet, we pass those savings right on to you. We’ve created a different way to buy used cars, without sales pressure while taking a test drive. Our mission is simple: to match you with the car you want in the most straightforward way possible. And once you get a feel for the car, we know you’ll make a good decision. That’s because most of them are still 12,000 to 40,000 miles young, with their best years ahead of them. Warranties vary from car to car, but we think you’ll be impressed. Most manufacturers’ warranties last for 3 years or 60,000 miles but please do enquire with our Customer Care Team who can confirm how much warranty is left on your preferred car. We have over 90 branches nationwide which participate in the Rent2Buy programme. When searching for a vehicle, you can determine the radius from your starting location which will display vehicles at our locations in your search area. Think about it, would you rather buy used cars from an unknown owner or a well-known, responsible one? Hertz is the world's largest airport general use car rental brand, operating from approximately 8,500 locations in 150 countries worldwide. Hertz has been named "Best Car Rental Company in North America" for 18 consecutive years by Business Traveller. With 5 days to try and zero pressure to buy, you can test the car under your own conditions. In fact, bring it to your own mechanic and get his opinion. All stated mileage is an approximation because the cars are actively being rented. Mileage is updated daily.